Coffee culture and the coffee shop is now a prominent feature in today’s society. So much so, that research has suggested that the average Brit spends around £2,210 a year in the nation’s coffee shops. This social ritual isn’t just limited to meeting friends or grabbing a beverage on the go either. Businesses and freelancers are also increasingly using coffee shops to host meetings and interviews outside of typical office environments. With these staggering figures, it could be time to consider alternative options. That doesn’t mean you have to miss out on a delicious coffee before your morning briefing. However, onsite options for your office and business premises could save money, and boost your staff productivity in the long-term. Take a look at how much a coffee trip could be costing your business, and why installing So Pure beverage technology could benefit your company. Most people can’t go without their morning coffee, and just a few pounds here and there in a coffee shop soon start to mount up. You might be surprised just how much coffee breaks cost per week. 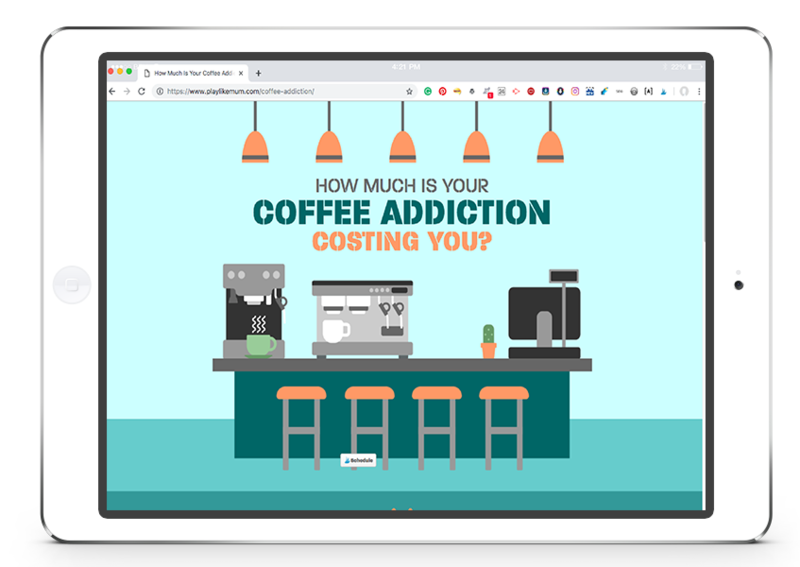 To give you an idea, check out this coffee costs calculator for an eye-opening insight. So made it’s time you ditched that coffee shop dash and opted for a So Pure coffee machine in your office, workspace breakout spots and function rooms provides both business savings and employee perks. A recently highlighted the average cost per trip to a coffee shop is around £13.85, which factors in purchasing a beverage plus transport and parking charges. Incorporating a high-quality coffee machine that fits your brand image not only eliminates the need to go off-site for meetings. It could also save employees an average of £8.54* per trip giving your staff more money in their pocket. Instead of popping out for coffee, your employees can benefit from a quality beverage while they work. Studies conducted by researchers at John Hopkins University showed that caffeine enhances memory consolidation for up to 24 hours. Plus Norwegian scientists also concluded that drinking coffee can help ease pain associated with desk work. In our blog ‘Employees Work Harder With Good Coffee’, this focuses on the importance of coffee in workplace environments. It explains that coffee is not only a vital social lubricant; it also proved critical for making employees feel valued in the office. Coffee breaks have also been highlighted as essential for a healthy and social work environment to enhance wellbeing for employees. The Costs To The Environment. It’s not only the cost to your bottom-line that should be considered but also, your responsibility to a sustainable society. Coffee culture has often had links to issues with environmental, social and economic sustainability in communities. However, opting for an upgrade in your office environment could help reduce these effects. Removing single-use cups and choosing coffee from ethical and sustainable sources gives you not only great tasting beverages, but also promotes an eco-conscious and responsible image to your clientele and employees. Unit 30 Calibre Ind. Park Laches Close. Off Enterprise Drive.